Testin was joined by Heidi Gutschow, president of the Wisconsin Athletic Trainers’ Association, and Matt Phillips, the WATA legislative liaison. 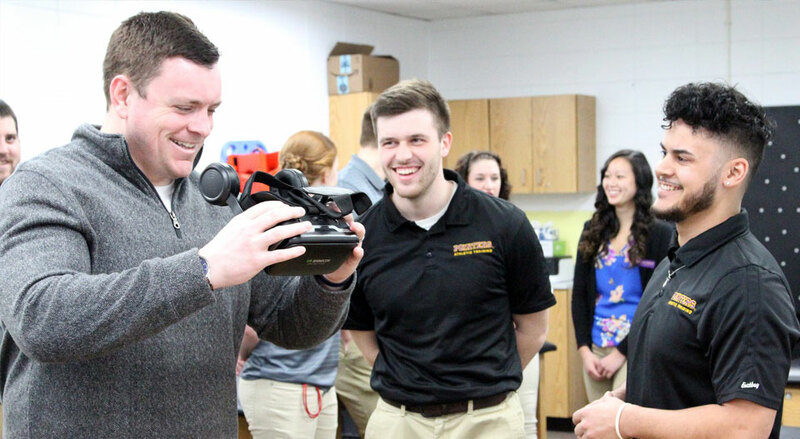 Senator Patrick Testin completed a baseline test on the UW-Stevens Point Dynavision, a light-training reaction device, developed to train sensory motor integration through the visual system. Our undergrad and graduate athletic training students use the Dynavision as a part of the Neinas Concussion Initiative to support student-athletes to return to play after injury.